facades+PERFORMANCE New York offers opportunities for informal networking as well as scheduled presentations and workshops. So much of design work today is solitary. It involves sitting in front of a computer—crunching data, building renderings, and running evaluations on digital models. But that’s not the full picture. AEC professionals rely on personal connections to identify projects, connect with clients, and learn new skills. Whether a business meeting or a chat over cocktails, face-to-face interactions still matter. Attendees can mingle with fellow designers during networking breaks, lunches, and a cocktail hour. 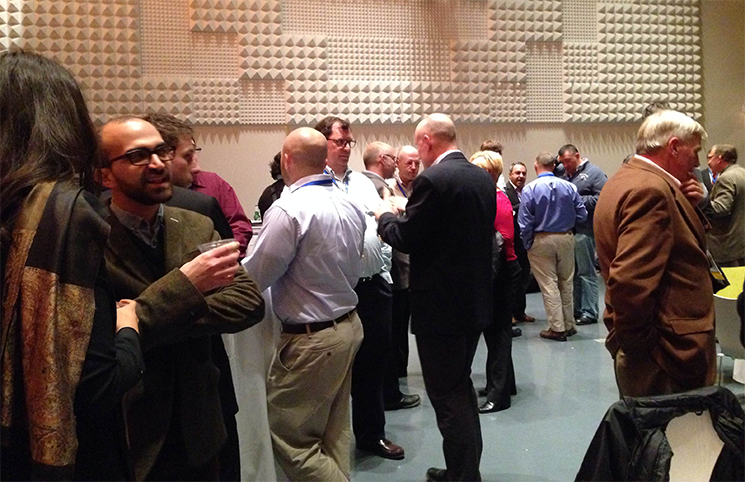 The upcoming facades+PERFORMANCE New York conference offers plenty of opportunities for informal networking in addition to scheduled presentations and workshops. Attendees will have a chance to connect one-on-one with fellow designers, including many of the movers and shakers in the world of facade design and fabrication, during multiple networking breaks. Day one features both morning and afternoon networking breaks sponsored by W&W Glass and a complimentary lunch sponsored by KEPCO+. The day concludes with a cocktail reception sponsored by Autodesk. Symposium keynote speakers and presenters—including Gordon Gill (Adrian Smith + Gordon Gill), Joshua Prince-Ramus (REX), Doris Sung (dO/Su Studio), James O’Callaghan (Eckersley O’Callaghan), Ana Bertuna (Related), and William Logan (Israel Berger & Associates)—will be on hand throughout. Day 2 similarly allows for morning and afternoon networking and refreshment breaks and an hour-long complimentary networking lunch. 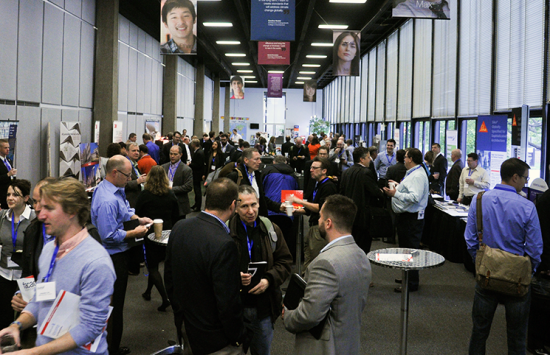 Participants in the day-long tech and dialog workshops can use these breaks to connect with other workshop attendees, get to know their instructors, and visit with colleagues enrolled in different programs. To register for facades+PERFORMANCE New York, visit the conference website. A full schedule, including networking breaks, is available here.